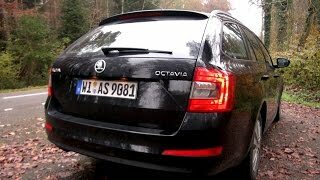 The all-new 2014 Skoda Octavia Combi will have its world premiere at the 2013 Geneva Motor Show in March. 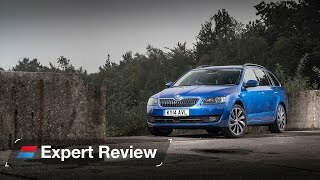 It sets new standards in the compact segment and reaffirms more than ever its unique position in this class. The new Octavia Combi comes with unrivalled space, new design, functionality, innovative safety and comfort systems and fuel efficiency. The Skoda Octavia Combi has a larger wheelbase resulting in more room and space, double-sided floor mat, the comprehensive net restraint system, multiple bag hooks, a waste bin and lots of bottle holders, holder for multimedia devices and the ice scraper in the fuel tank opening or the warning-vest holder under the driver’s seat. There leaves little to be desired in terms of comfort – thanks to numerous electronic comfort systems that have so far only been seen in higher class cars. 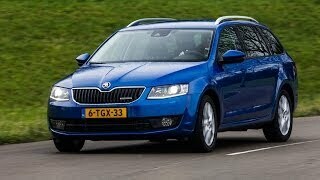 The new Skoda is up to 17% more economical. The engines currently on offer comprise four petrol and four diesel engines, the fuel efficient GreenLine Version reaches a consumption of only 3.4 l/100km and CO2 emissions of only 89 g/km.